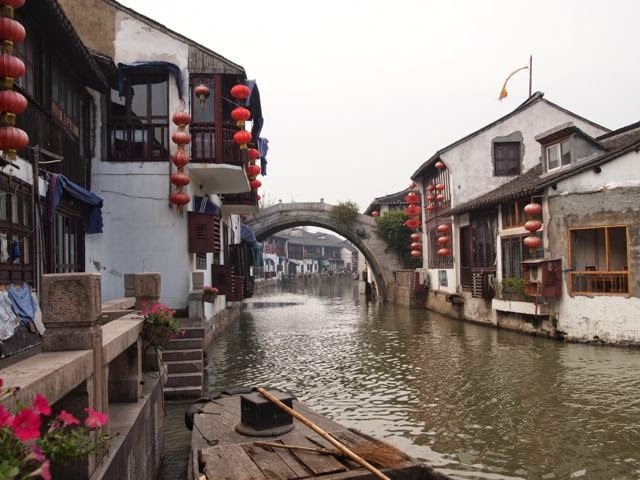 An ancient 'water town' on the outskirts of Shanghai. 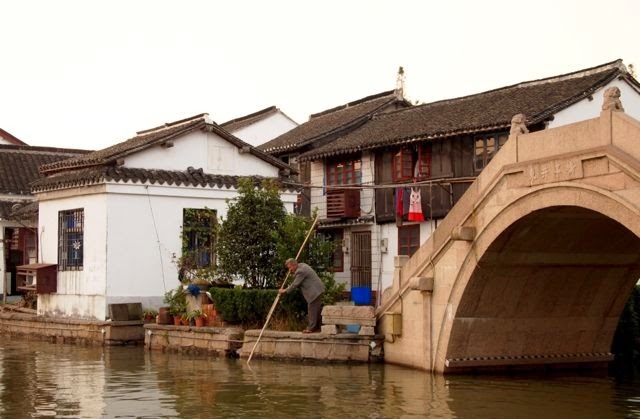 If Shanghai's skyscrapers and modernity become a little too much for you, step back into time by visiting Zhujiajiao, where traditional Chinese houses and lots of canals provide a useful antidote to Shanghai's steel and concrete overdose. Just under 50km, or about an hour, west of Shanghai. Map. 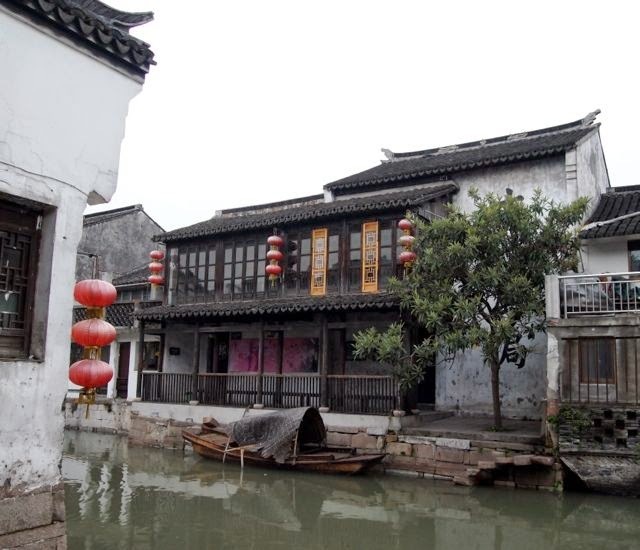 ZHUJIAJAO (朱家角 in Chinese) IS A 'water town' whose history goes back about 1700 years. 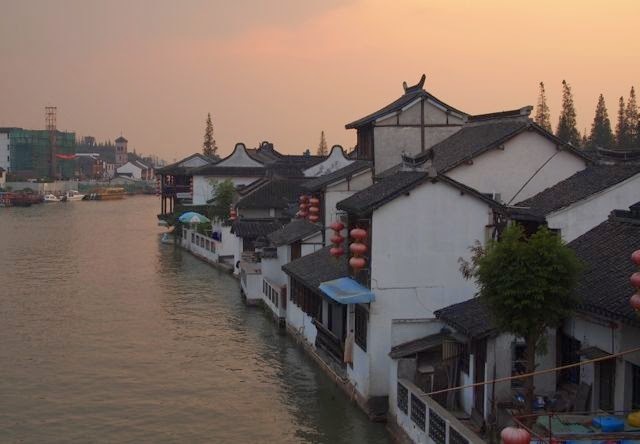 There are many water towns in Eastern China- Suzhou and Zhouzhuang are well known examples but there are many others. What Zhujiajao has going for it is its proximity to Shanghai (OK, this works both to our advantage and disadvantage) and its compact size. Zhujiajao now has 60.000 inhabitants, but the central district, the ancient village, consists of a coherent core of about 3 square km. Many of the village's buildings go back to the Ming and Qing dynasties (that's roughly the 15th-19th century to foreign devils like me). 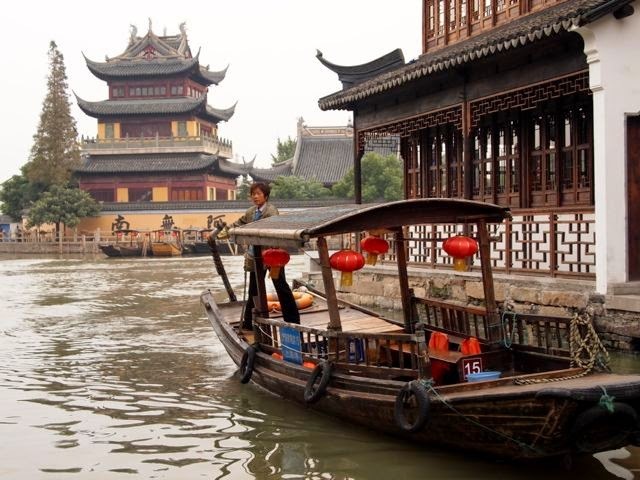 The main attraction here is simply walking around, crossing the town's 36 stone bridges, taking a boat ride, and straying off the main roads and canals to catch glimpses of a more traditional life. 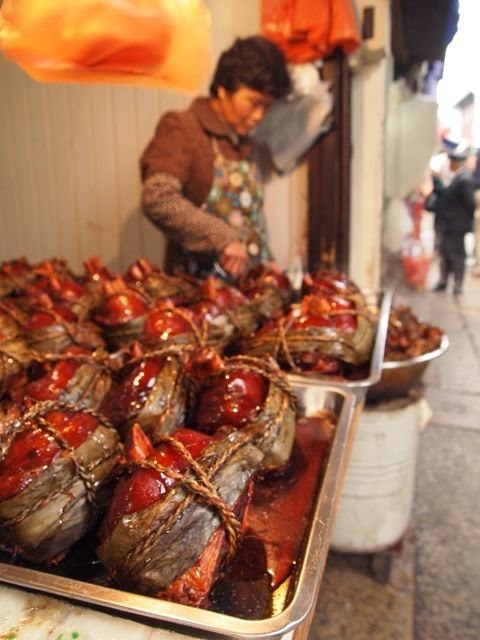 With Zhujiajao's proximity to Shanghai (as I said, a boon as well as a drawback) the town sees lots of Chinese day trippers, especially on weekends, which are therefore best avoided. To outsmart the crowds, spend the night, as you will have the place practically to yourself when the day trippers are gone. Also, since group tourists anywhere (but particular in China) tend to move in herds, it's quite easy to leave their well-worn trail behind by getting off the main streets and canals and exploring residential side streets. The other thing you got to like about China is that tourism does not just bring growth in bars and other places focused on alcohol. 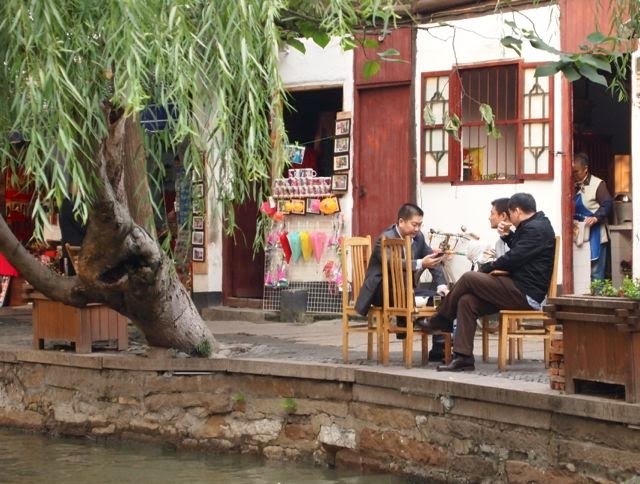 In China, tourism generally leads to an explosion of tea houses, Of course we're not talking Lipton here- high quality Tie Kuan Yin and Lung Jing loose leaf teas are the name of the game. Bring a book (or Kindle) and while away the time with an excellent cuppa. 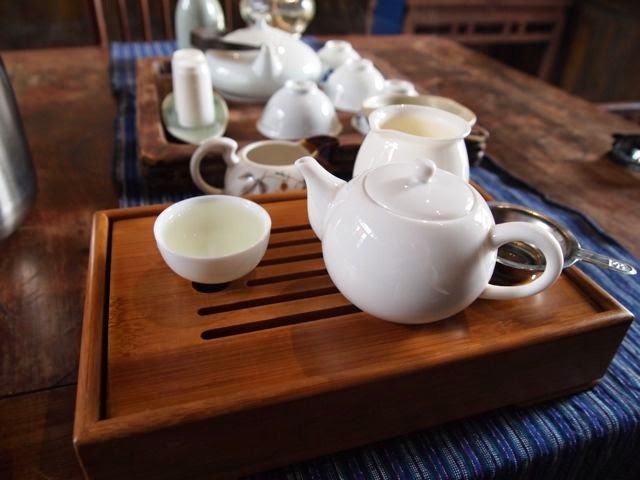 Classical tea houses offer expertly brewed special-teas. And if you're peckish you can always grab a pork knuckle on the way out! Pretty straightforward. From Shanghai, you can take a taxi, for about 200 Yuan, or take one of the pink buses departing from near People's square. Details here.